The United States was prevented from dealing directly with Great Britain due to its alliance with France, having promised that it would not negotiate with Britain without them. 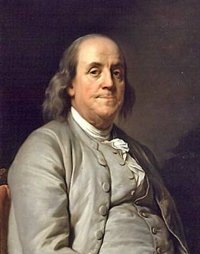 Nonetheless, messages were exchanged between Ben Franklin in Paris and Prime Minister, Lord Shelburne's peace commissioner in Paris, Richard Oswald, seeking common ground on which a preliminary peace could be formed. 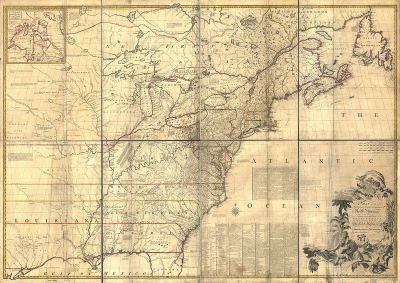 Mitchell Map, 1755 The Mitchell Map, created by mapmaker John Mitchell in 1755, was used to establish the boundaries of the United States during the negotiations of the Treaty of Paris. Several mistakes in the map contributed to boundary disputes later with Britain in the north and Spain in the South. close to see the details of the map. Two days after America's 4th peace commissioner, Henry Laurens, arrived, a preliminary agreement was signed on November 30, 1782, which recognized the United States and established its boundaries, roughly being from the Mississippi to the Atlantic and from the Great Lakes to Florida. The preliminary Treaty of Paris also granted the US the right to fish off Newfoundland and granted both Britain and the US the right to use the Mississippi River.